Ballinger is the perfect “host” city for the 25,000 surface acre O.H. Ivie Reservoir. LakeIvie is only 20 miles southeast of Ballinger on FM 1929, east of Hwy 83. Ballinger is proud of her beautiful, well kept 20 acre, tree shaded CityPark that is located along historical Elm Creek. The park features an extra large public swimming pool, outstanding playground equipment, picnic area with outdoor cooking facilities, hiking and bike trails and R.V. hookups. Ballinger has two “City Lakes” with recreational areas, R.V. hookups, and some of the best fishing in Texas. 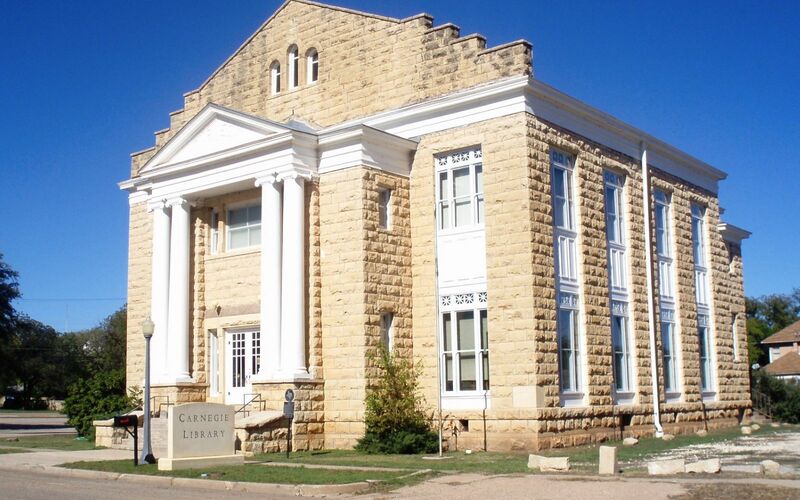 The authentically restored Andrew Carnegie Library is worth a trip to Ballinger…and the last weekend of each April should always be set aside to attend the “Texas State Festival of Ethnic Cultures and Arts & Crafts Show”, which is held on the largest landscaped courthouse lawn in the State!Town in Texas”! Ballinger also boasts an incredible school system. The school district has a long tradition of achievements in sports, academic UIL, band awards, and high academic success of its students. Students are encouraged to set and achieve high goals as shown through their TAAS scores, the number of college graduates and accomplishments at UIL meets. Ballinger schools were named Exemplary for 2001 by the Texas Education Agency. To read more about our schools, click here. 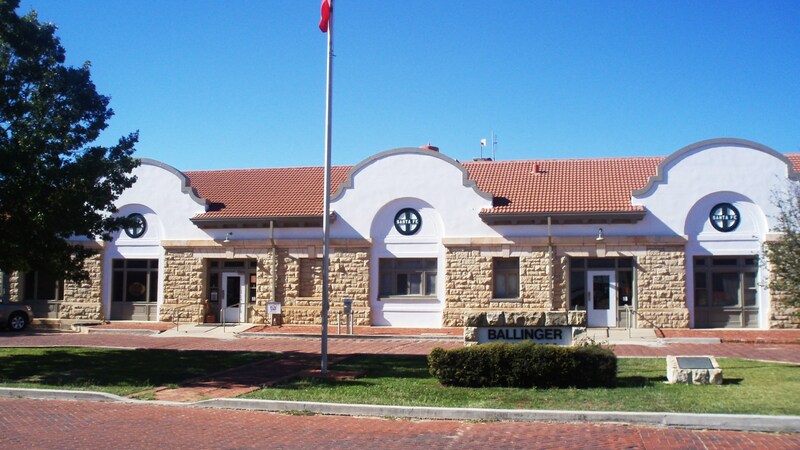 The Town of Ballinger was established June 29, 1886 by the Santa Fe Railroad. It was named for William Pitt Ballinger, an attorney for the Santa Fe Railroad. For some history about this Ballinger family see “The Handbook Of Texas Online”, article for Betty Eve Ballinger (1854-1936). William Pitt Ballinger’s Law Office in Galveston, Texas is now known as “The Cradle”, where the Daughters Of The Republic Of Texas Organization was formulated. Source: Daughters Of The Republic Of Texas Information. William Pitt Ballinger never visited Ballinger Texas. The City of Ballinger was established in 1886 and Mr. Ballinger died in 1888 at the age of 63.